June 4th at the Harvard Club in New York, at the biggest investment summit on the Caribbean outside the region. 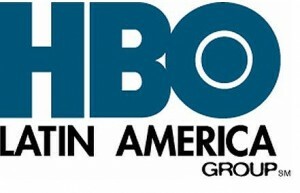 For over 20 years, HBO Latin America has demonstrated its commitment to the region by catering to the market’s needs, creating channels specifically tailored for its audience and producing original content on-site that is shown throughout all of its territories. Additionally, HBO has helped to shape the business landscape by establishing key relationships with reputable organizations and cable operators who are dedicated to providing authorized quality programming and the best available technology to their subscribers, such as high definition and video on demand services. "Invest Caribbean Now is pleased to honor HBO Latin America Group this year with the 2014 Alliance Award because the company's partnerships across the Caribbean, especially with TiVi S.A., represents exactly the plan of growth and action ICN believes is key to advancing wealth building across this region," said Felicia J. Persaud, Chairman and Founder of Invest Caribbean Now.